St. Jude & St. Paul’s Church has a CofE primary school within a short walk from the church. click here to see website. It is a single form entry primary school serving the immediate area around the church and has ~200 pupils from very diverse backgrounds. St Jude & St Paul’s School has a vision to be an inspirational school delivering excellence in learning by being creative, rigorous, and inclusive, grounded in Christian faith and preparing children for life. Therefore encourage one another and build one another up. 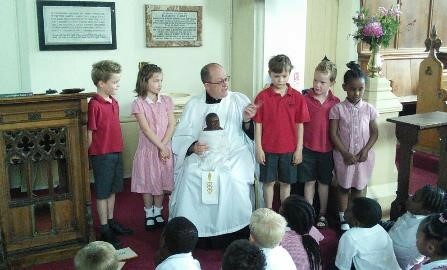 The previous head teacher instructing pupils in baptism inside the church. 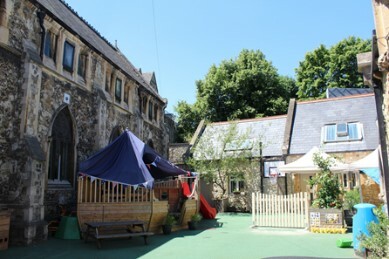 The Children’s House Upper School is adjacent to the Church and has the use of the Church Halls during term time. 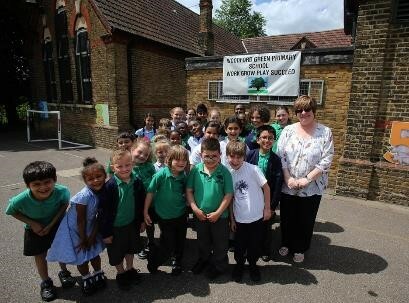 It is an independent, non-selective and non-denominational school that was set up by local parents 45 years ago. The school welcomes enquiries about the free Nursery places it offers to local children in need. click here to see website. St. Paul’s Steiner School occupies St Paul’s Church building and hall. 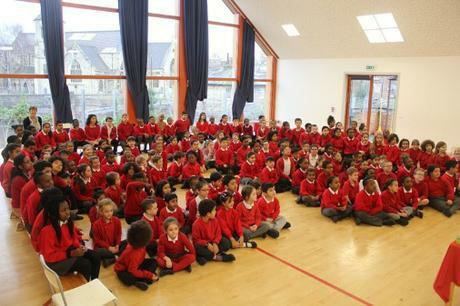 It is an independent, non-selective and non-denominational school. click here to see website. There has been a school on this site since 1784 when Mary Wollstonecraft, the famous writer and feminist, set up the school for girls. click here to see website.